We flew into Santiago after a horror flight from Quito – an overnighter, where the cabin wasn’t properly pressurised, a loud French family were continuously moving and play-fighting around us, the cabin lights left on full all night, and duty free sold at around 3am. Thanks LAN. When we arrived into Santiago, it was raining heavily. We taxied to our hostel, decided to go for a private room for the day so that we could catch up on some sleep, and disappeared until the early afternoon. By the time we got up, the skies were blue, and we could appreciate how attractive a city Santiago is – it turns out it was the best we saw it: the rain had knocked the stubbornly persistent smog out of the atmosphere. We grabbed a set lunch, and later enjoyed our first Chilean Completos – something we’d been looking forward to after being introduced to them by Beiha, our Chilean friend at home. Completos (or Dynamicos) are hot dogs that contain avocado, sauerkraut, tomatoes and mayonnaise, and they taste incredible. Santiago was great. After a couple of days, we met up with Rowan and Eliza, friends from Perth, who’d come fresh from the desert of Atacama. Together we hit up the local nightlife (a night in a nightclub converted from an old car park until closing time, before mooching a lift home with a local Chilean girl was a highlight); devoured a huge amount of wood-fire grilled Waygu steak and pisco sours; toured the city amid student (and Starbucks workers) strikes; tasted local wine and chowed many Completos. After a few days in Santiago, the four of us were off to Portillo. It wasn’t all smooth sailing: Bron and I had arranged for our equipment to be shipped from Canada to Santiago as freight. Copa Airways had managed to completely lose our equipment, which was already four days late when we left for Portillo, and wouldn’t arrive in Chile until our last day in Portillo. The Saturday morning, we got up early to leave, and headed to the busport. Turns out that the pass was snowed in: they don’t really have the infrastructure to keep the road open even with a little bit of snow. The buses weren’t running, but in the end we managed to arrange a taxi to take us most of the way, before sharing a lift through the snowed in area the rest of the way. Check in took a while, but then we arranged hire gear (they didn’t hire cold weather gear or goggles, so I was riding in hiking gear and sunglasses) and managed to get a few runs in before they closed for the day. After a couple of runs all of our troubles were forgotten. It turns out that we’d timed our visit for Wine Week in Portillo. 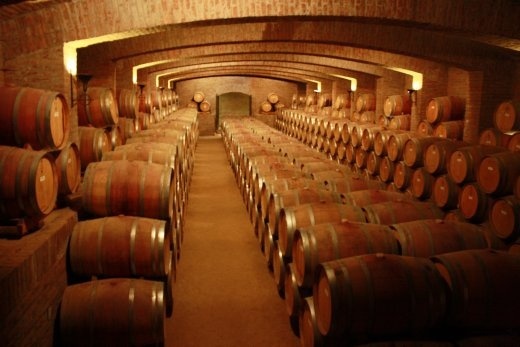 Each night, there were free wine tastings, and very generous ones: between 5 and 10 ‘tastings’ of a half glass each. Chile has some excellent wines. Portillo is a really different resort: essentially the only people skiing there are those staying there, so with a capacity of 450 people, the lift queues were almost non-existent. Each night there were functions on, with live music (one night there was a cover band who had a lead singer who air guitared during drum solos, medleyed Pink Floyd and did a Midnight Oil cover); table tennis, pool and table soccer; outdoor spas; pubs with a crazy dancing guy in running shorts, way too many pisco sours and benevolent American dentists (we got toothbrushes for presents! And promises of free dental work in the US). The snow at Portillo was pretty incredible, although the snow base was under-developed (both Rowan and I picked up core shots on our hire equipment, and I almost blew out a rail too – the hire guys were really good about that…). Of our 5 and a bit days skiing, 4 and a bit were powder days, and two of those perfect blue-bird days. 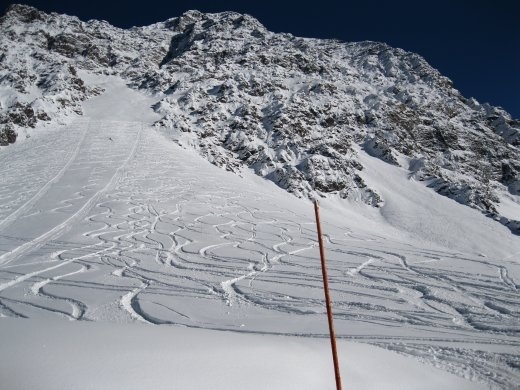 The mountain is dominated by powder bowls and wide chutes, so condition-wise, it was perfect for snowboarding. Only problem was the infrastructure: the alpine is service by Poma lifts and slingshots consisting of four Poma lifts together on a bar – not so boarder friendly. The place is gorgeous, with a giant lake situated amongst the Andean mountains forming a spectacular backdrop to most of the runs. Aside from our gear not showing up, the only other problem was a minor knee twist for Bronwyn, which cost her a couple of days, and a few nasty hangovers. From Portillo, we returned to Santiago, recovered our gear, said our goodbyes to Ro and Eliza over dinner and got ready to head north. Whilst there, we had lunch at an incredible Viking themed restaurant. More armour, axes and thrones than you could point a stick at, with toilets flushed by manacles hanging from the roof, and a guillotine at the urinal. Great, huge steaks too! Next stop from excellent and Perth-like Santiago was Chañaral, which is used to access Parque National Pan de Azucar in the north of Chile. Pan de Azucar is a coastal desert area in the southern reaches of Atacama, a nice blend of cacti, gorges and the coast: it was uncannily like a cross between the Pilbara and the Goldfields in Western Australia, with the added bonus of cool cacti, no spinifex and guanaco, a relative of the llama. We had a couple of excellent days hiking in the national park. An unexpected highlight was being invited back to dinner with our taxi driver Gudin, who cooked us a massive wood-fired Chilean barbeque that resulted in the sad but delicious deaths of numerous animals. To wash down the meal (a whole chicken, huge chorizo-type sausages, pork and steak – also an avocado salad and bread with an incredible homemade salsa between four of us) we had a couple of bottles of Chilean red and some super-strong home-made pisco sours. Glad to report I was feeling better than Gudin the next morning. The unexpected surprises are always the best. After a couple of days in Chañaral, we caught a night-bus to San Pedro de Atacama, an incredible little town in the middle of the Atacama – with dirt streets and dogs roaming the streets it could be any outback town in Australia, if it wasn’t for the hundreds of tour agencies, wifi in the central park, a North Face store, dozens of cafes and snow-capped volcanoes nestled behind the town. Still, not without its charm. The Atacama Desert was an incredible experience. One of the driest environments in the world, but packed full of incredible places. 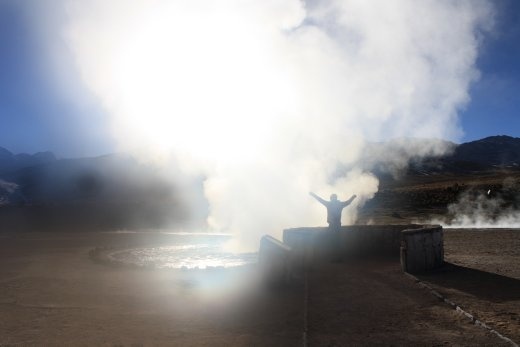 Our first site was the El Tatio Geysers – we had to get up at 4 in the morning, jumped into a bus and drove a couple of hours out to the National Park; at over 4000m above sea level it was freezing cold. There were literally hundreds of geysers shooting super-heated water and stream into the air, before the water would runoff and freeze. On the trip back, we spotted birdlife, vicuñas (another llama relative) and llamas; walked amongst giant cacti and visited a small village where they served delicious llama kebabs. In the afternoon, we headed to the stark Valley of the Moon, and the nearby Valley of the Dead. Impressive salt structures (you can hear them crack as they warm up in the sun), giant dunes, newly created hills and an amazing sunset stunned us. It was amazing how similar some of these incredibly new landforms resembled the world’s oldest in Western Australia (again – with the addition of snow-capped volcanoes). We did a less-inspiring salt lake tour. Floating in a hyper-saline lake was fun, but we’d seen similar before. More enjoyable was hiring bikes and exploring the area. We rode up through a canyon about 800m or so to find a tunnel running under a mountain in the middle of nowhere for no obvious reason. The views were incredible, and the downhill descent on the rocky, uneven road was great fun. After five hours going up and down giant hills, we were pretty stuffed, but happy and pleased with our efforts. The rest of our time in San Pedro was spent planning the next stages of our trip. We’ve got a plan we’re pretty happy with now for the next month or two. The first step was a three day 4WD trip through the salt flats to Uyuni in Bolivia, but more on that later! Coming into South America, I didn’t have huge expectations for non-Patagonian Chile, but I have to say, I was really pleasantly surprised. We definitely decided that of the cities we’ve visited to date, Santiago is one we could very happily live in, especially if they can do something about the smog. 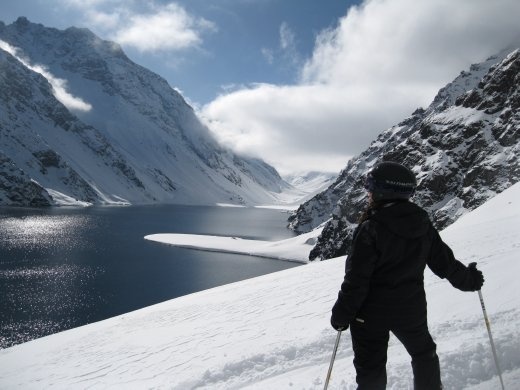 The Andes really are awe-inspiring and the skiing was better than we’d hoped for. It’s more expensive than the rest of South America (barring Brazil and the Guayanas), but still very affordable. The Atacama region is amazing, definitely worth the effort of getting too. Having Rowan and Eliza visit us was really incredible, we really appreciate their efforts in coming across and hoped they enjoyed Chile as much as we did. Maybe it’s a Southern Hemisphere, west coast thing, but it really felt like home. With snow capped mountains.